Gmail is one of the most popular web based email service which is used by a large number of individuals and companies. Due to server based email service, it is not possible to entirely depend on Gmail. You cannot leave your important mails on Gmail for a long time because it can be deleted accidently and can lost among several emails. At the same time, there is possibility of hacking of your Gmail account. In this case, your privacy can be breached. So, the best idea is converting Gmail to Outlook, Gmail to Apple Mail, Gmail to Entourage and Gmail to Thunderbird. Our utility allows you achieve conversion effortlessly. The cool app gives you enough space to choose your backup email client. If you wish to access your Gmail to Outlook, choose either Gmail to PST or Gmail to MSG. Both options are safe to go with. Export Gmail to EML or EMLX or MBOX to flexibility choose your email client such as Thunderbird, Apple Mail, Entourage and many more. Choose your choice email file format to retain your data safely. 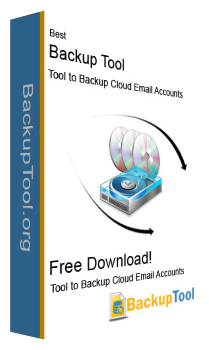 This tool enables you to backup Gmail data on the email account that users have provided. The utility needs the right username and password to make conversion successful. It automatically connects with the particular account. The Gmail to PST exporter enables you to export entire Gmail databases or a particular folder like Inbox, Starred, Sent Mails and Trash mails. Direct the tool for the Gmail folder you want to backup. Control of backup is at user's hands. For uninterrupted conversion, the tool supports pause and resume feature which can be safely applied when you lose internet connection. The tool stops working if the internet connection is weak in between. As the connection come back the process can be resumed. It is a trustable app. The tool has been evaluated for accuracy. It offers error free export where a number of emails, messages and attachments are exported without losing single data. Could this program help to retrieve Gmail password? No, it only works to convert mails. How many Gmail account data can I export? It supports one Gmail account at a time. What if the connection error shows? If the tool is not establishing connection automatically, check the server connection and IMAG setting. What if I forget the password of my Gmail account? Reset the password and then use our app. This is a super cool app for bulk migration of Gmail program. I am flexible to work with the software without asking any technical help. I would surely rate this app 4 out 5 for its multiple conversion feature and accurate output. I am managing all my Gmail data in Outlook. It has all happened because of your Gmail backup. The application works fast without causing any damage to my data.